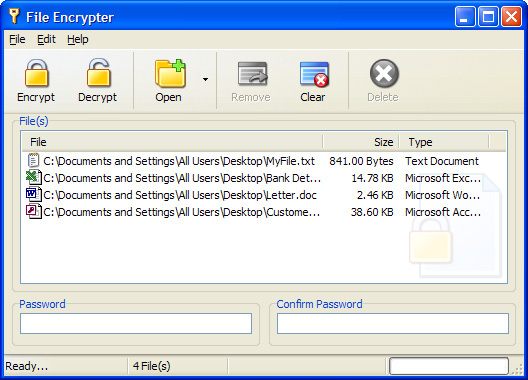 How to encrypt your files with File Encrypter! Once File Encrypter is running, you will then need to add the files you wish to encrypt to the list, you can simply drag 'n' drop your files from Windows Explorer onto the list (Figure 1a), or select "Open" from File Encrypter's toolbar. Now you will need to define a password to which the files will be encrypted, please enter a memorable password as you will need it to decrypt the files, nbsoft cannot be held responsible for your password! You will now need to choose whether you are trying to encrypt or decrypt your files, in this example we are encrypting the files, File Encrypter will not allow you to encrypt files that have already been encrypted in File Encrypter before, the same goes for decrypting files that haven't already been encrypted. 4. Uncheck "Hide extensions for known file types"
File Encrypter - How to encrypt your files with File Encrypter! All Software - What is Alpha Blending?